Tonika - "The Worst Guitar Ever"
In the electric guitar’s short history, there is a single instrument that has earned the title of “the worst electric guitar in existence.”1 The Tonika was the very first solid-body electric guitar manufactured in the Soviet Union, and its legend has made it into a collector’s item for all the reasons we’d usually pass on an instrument. It was forged in secrecy behind the iron curtain, in a cold, nondescript factory in Leningrad some time in the late 60s when Cold War tensions were at their highest. Unfortunately, unlike their space program, the Tonika was not a source of national pride for the USSR. 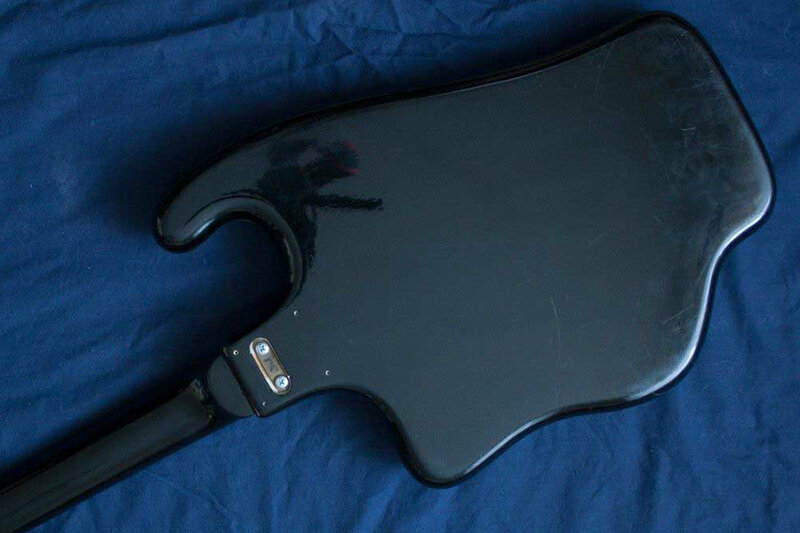 Before I give any bad impressions, I want to let it be known that the quality of electric guitars in the USSR was improved over time–during the 80s, there were at least ten different factories producing unique models. It’s just that the Soviet era of guitars evolved in parallel but without any influence from the Western models we’re all familiar with – which makes the entire offshoot from the family tree fascinating. 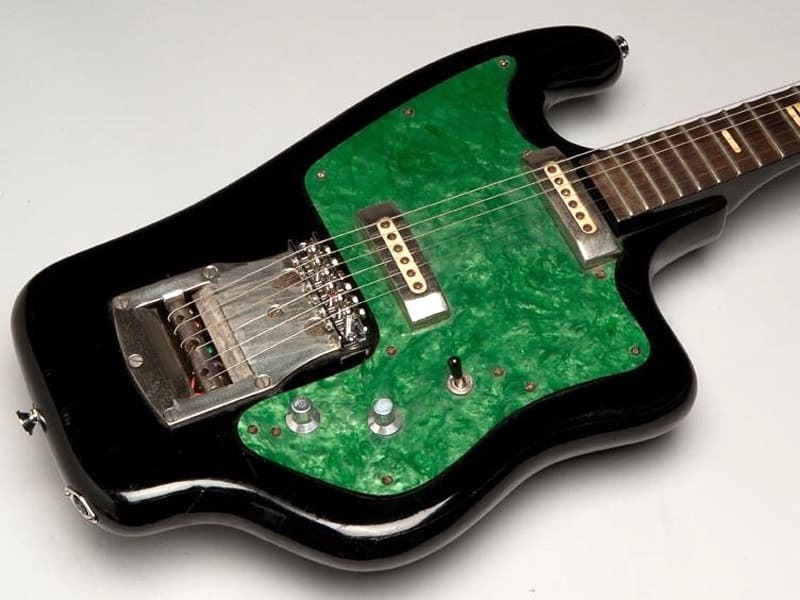 The Tonika was the first prototype designed by Soviet luthiers, and it was a noble attempt considering the lack of inspiration available at the time. 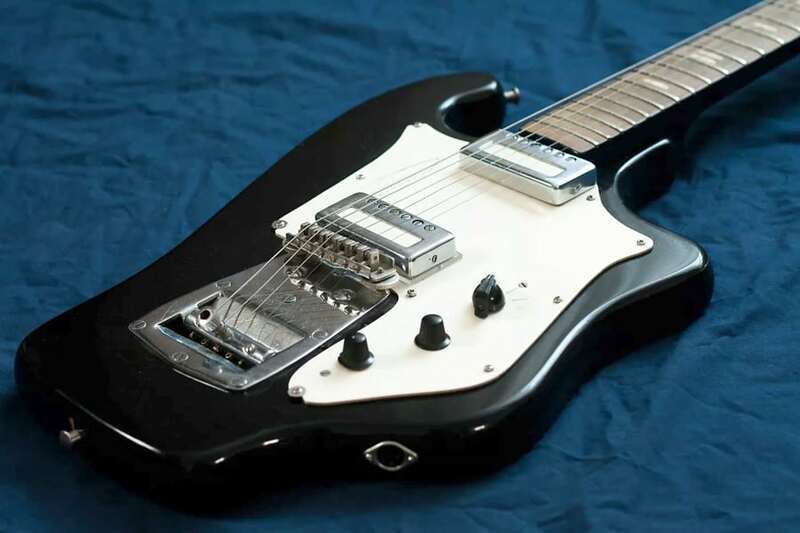 Due to the USSR’s strict travel and trade policies, and a general disgust for anything American, there were very few electric guitars from the Western world from which they could draw from. Maybe that could explain the absolutely mental body design–nowadays, Strandberg calls that “ergonomics” though. 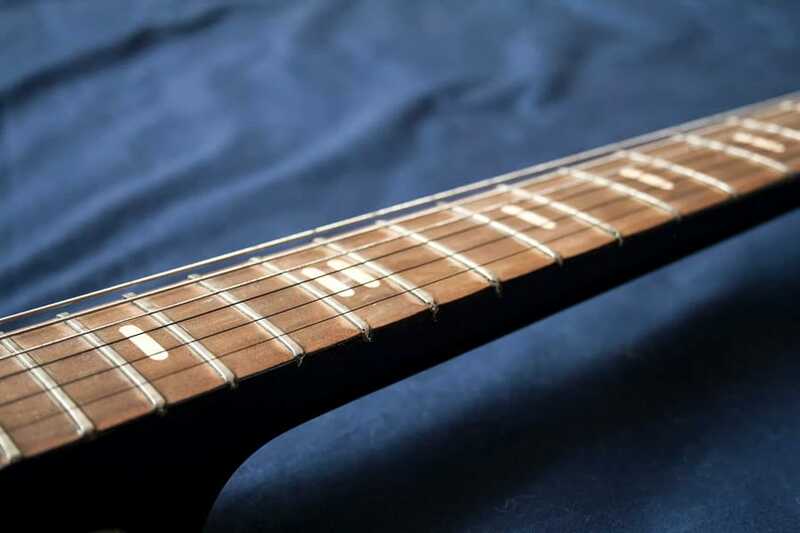 The body and neck were made of beech wood, and the fretboard from ebony. 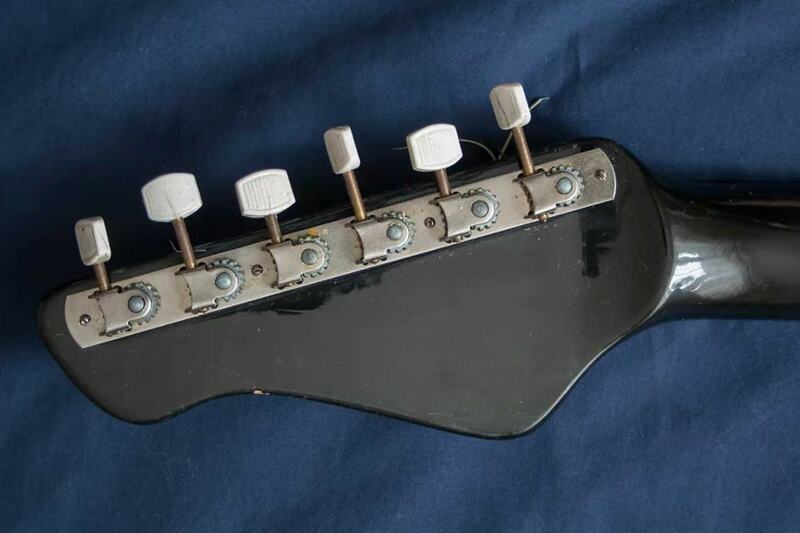 The original Sverdlovsk models had two single coil pickups, whose components were glued together, and the bolts extended downward next to the magnets. 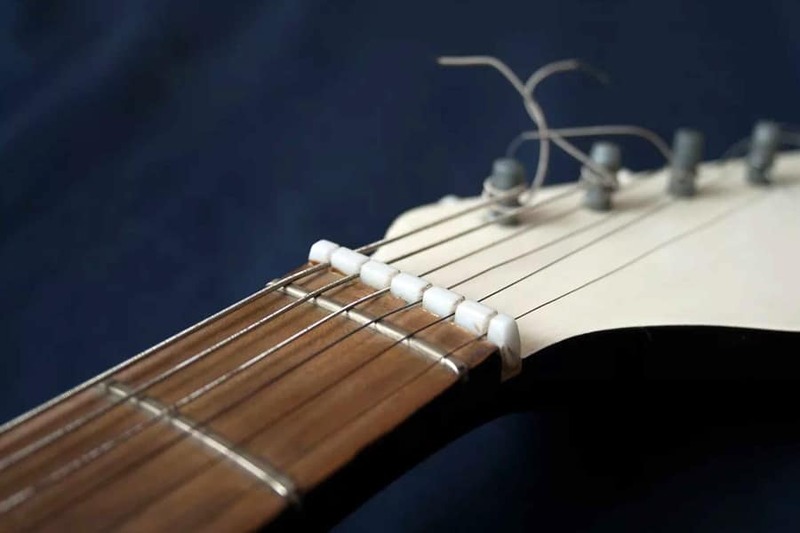 The bolts can be moved closer to the string to increase the volume, but the pickups as a whole cannot be adjusted. 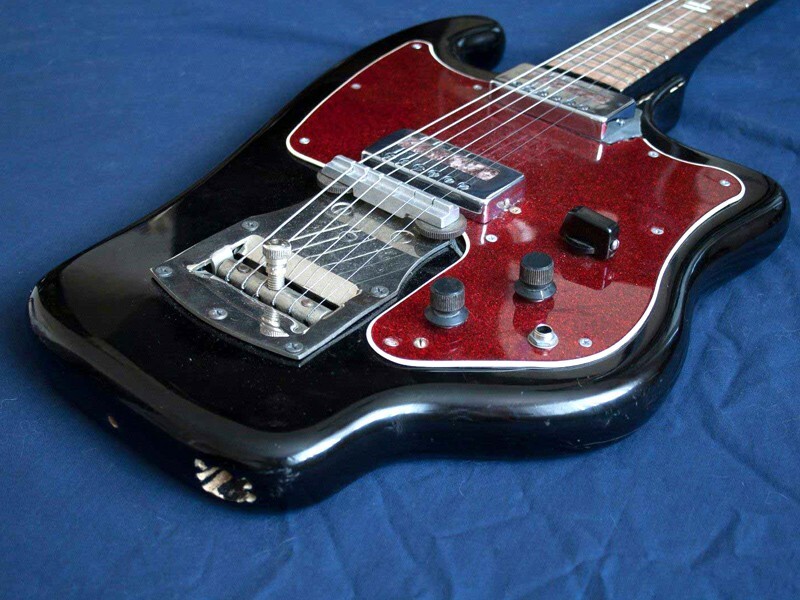 The pickups were wired through a four-way switch to change their configuration. The guitar’s output is a 5-pin jack that made it impossible to link up with anything other than Soviet amplifiers (barring modification). But before we get all hypercritical about it, let’s marvel at the possibilities it opened up – mono / stereo output, phantom power, and some people even theorized that the design was anticipating MIDI-like functions. Of course, the Tonika itself didn’t utilize any of these options, but it did make a path for later models to go down. 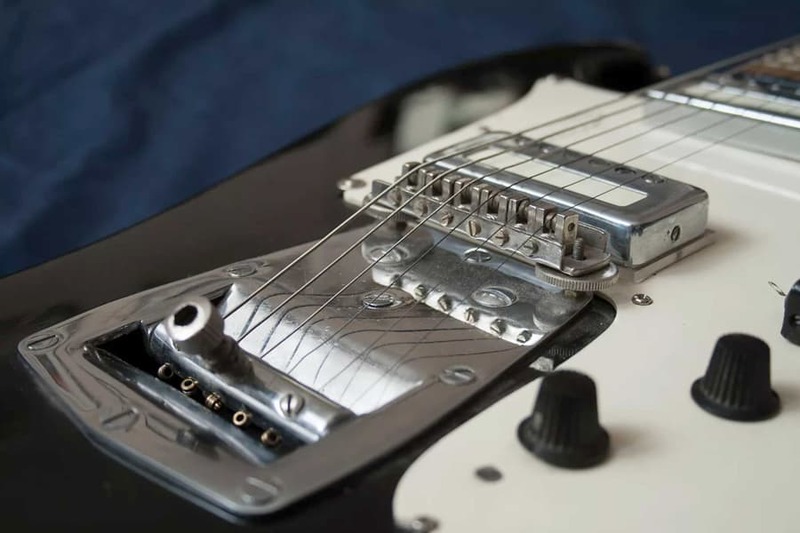 The bridge was a sort of Bigsby-ish Tune-o-matic Frankenstein contraption with a centered tremolo arm on a spring loaded plate that could pull the strings back and forth on a roller. The neck was bolted on, and had what is widely considered to be one of the most uncomfortable profiles ever. It’s a very thick neck with a tiny radius. Now, this guitar gets a lot of bad reviews that I don’t believe are entirely justified. The electronics were shoddy, the body is hilariously malformed, and the construction quality is lacking (though the paint job is said to withstand temperatures up to -30° C). One scathing review of the Tonika described it as an “unplayable super-heavy guitar with sick body shape, thickest neck you’ll ever find and sound suitable for anything but music”2. But this is an instrument designed by Lunacharsky Factory of Folk Musical Instruments, the oldest and most experienced instrument-making factory in Russia. This was the first electric instrument designed in the Eastern Bloc, and it was done so from scratch. Leo Fender and Les Paul had tons of designs to improve upon, since the Frying Pan designed by Beauchamp and Rickenbacker had already set the wheels in motion. In my opinion, the luthiers who designed the Tonika were extremely talented to have come up with a fully functional electric guitar that somewhat resembled and played like an instrument from America that had 35 years of previous innovation to lean on. Unlike Fender and Rickenbacker, these Soviet luthiers remain unnamed to this day. One final note: Since the original versions of the Tonika are so rare, it’s very difficult to find any media about them – therefore, most of what you see here is the next (very similar) Tonika model manufactured in Sverdlovsk. I haven’t seen too many people playing these guitars and screaming in agony for its horrendousness. Take a look on YouTube and see for yourself – they sound pretty good to me! I’m curious to know what you think of this beast. Is it a collectible jem or a monstrosity that’s better suited to a museum? Let me know in the comments section down below. I just got ural 650 and Tonika. Ural will be anice guitar when it gets new frets. But Tonika is.. something else, I have always thought that there is no unplayable guitars in the world, but now I have one. Got to get more of these. I’ll correct some inaccuracies, if I may. The output is a common 5 pin DIN which is a German standard, same as used for MIDI and same adapters may be used. It’s not the “first electric instrument designed in the Eastern Bloc”. What about Theremin? George Harrison played a Jolana guitar early on. Futuramas were made starting 1959. Of course that is fairly obscure knowledge. 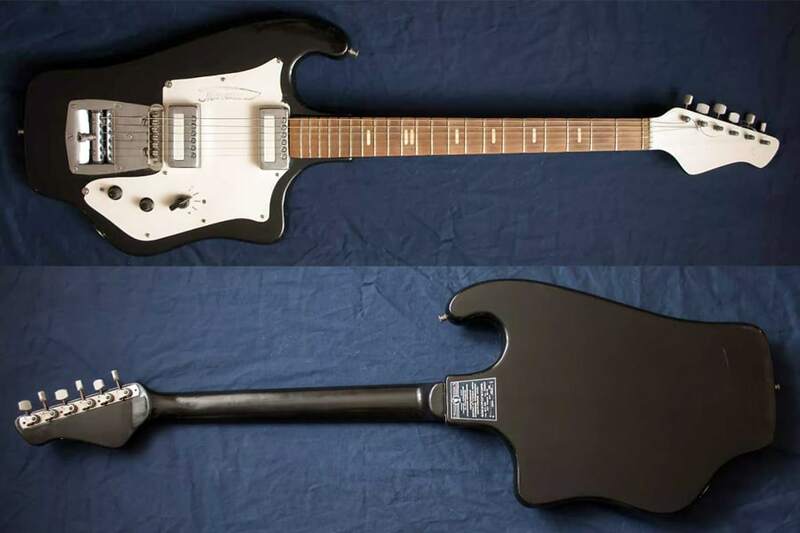 The most well known and mass produced Soviet guitars were clones of Japanese instruments. By the way, there was no general disgust for anything American. Hemingway was one of the most popular writers during that period, as well as Vonnegut, and jazz was everywhere. Slaughterhouse-Five was even adapted for stage by the Soviet Army Theater. You’re correct, it should say “first solid-body electric guitar”. To call the rest of the guitars clones is a little unfair, they definitely took a lot of inspiration from the designs. “disgust for anything American” – tongue in cheek, the Soviet government was very sensitive about what came in. In 1969 when the Tonika was first built, the they classified various American cultural trends as being influential, including pretty much all the rock music. The groups within the Soviet Union were allowed to play with guidelines. Things became more relaxed as time went on, but the 50s and 60s were still pretty tightly controlled. Kurt Vonnegut constantly (especially Slaughterhouse 5) questions the actions of Western countries by comparing them to their enemies. 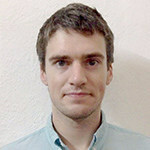 Were the Americans and English any better for retaliating in such an aggressive way on a civilian city? I don’t see why the Soviets would worry about that message. I seem to remember working on one of these a long long time ago. Wasn’t sure until I saw the two bolt neck attachment – simply astonishing. If you have one and need parts, you are in for a long search.